The US Federal Communications Commission Thursday approved the proposal to make Internet a public utility, a decision that will allow increased regulation of online activities to guarantee the open nature of the Net. 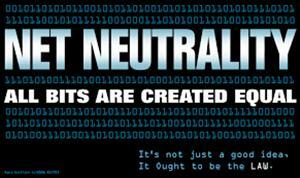 The 3-2 vote to approve so-called "Net neutrality" came without any surprises, receiving support from the Democratic members of the FCC, including its president, Tom Wheeler, and being opposed by the Republicans. The proposal had been presented by the commission's chairman Tom Wheeler in early February with the aim of ensuring that Internet providers cannot speed up access to certain Web pages. Thus, the measure attempts to avoid the creation of "fast lanes" for content, the creators of which have previously paid a fee to the providers. The FCC, which is an independent federal entity, last May had brought up the possibility that providers might collect fees for priority Web access, and since then more than four million comments from the public on the matter have been received, most of them against the faster access channels. President Barack Obama came out in favour of designating the Internet a public utility amid a heated debate among defenders of greater Net regulation and access providers such as Verizon and Comcast, who say that the regulations would stifle innovation.